Live music has become a regular occurrence at The Abbey Pub & Grub thanks to the help from University of Wisconsin-Stout business administration senior and So Called Productions member Dillon Carlson. The Main Street bar that previously featured the occasional DJ built a brand by consistently hosting local talent over the past year. 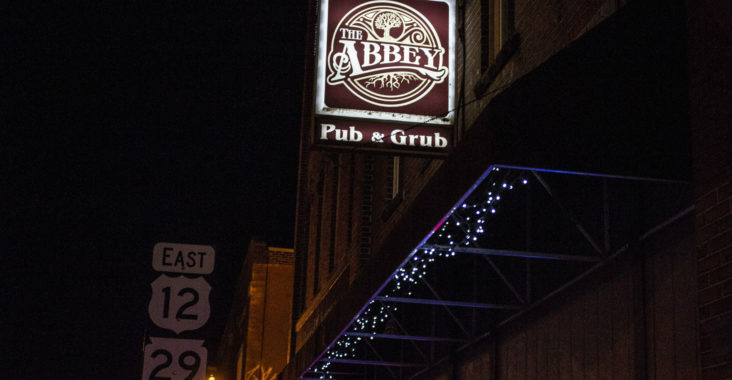 Carlson has been in charge of booking talent for The Abbey for a year, but Abbey Schmaling, owner of The Abbey, said there was a turning point and the scene grew from there. “Dillon reached out to me last year, and we had DJs a few nights. Then this year we had a very successful DJ night on the patio and it just became more consistent from there,” Schmaling said. The success came after the closing of Rehab and left Menomonie without one of its most popular dancing venues. “With the whole Rehab fiasco, I saw an opportunity to seize the “dancing” bar. Abbey, the owner, also really showed a lot of trust in my vision to change the music scene in Menomonie and it paid off,” Carlson said. “The music scene in Menomonie the last couple of years has been primarily underground. A lot of talented artists were playing house parties and not really getting any exposure.” Carlson said. He saw a need for a more accessible and consistent public venue in the local music scene. 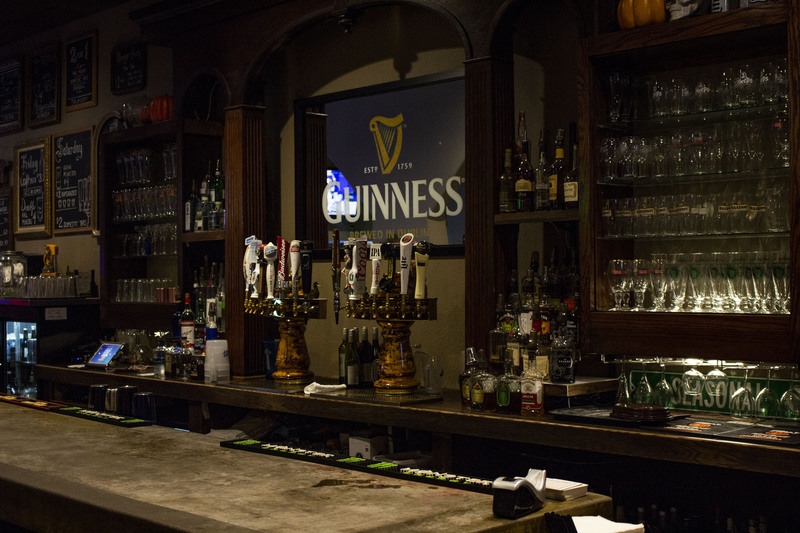 Carlson’s team has grown since he began working with the pub. The team consists of Carlson, So Called member Brandon Berg, local producer Nolan Hall, and social media manager and DJ Jacob Doherty. “It’s getting people involved in expressing themselves and sharing positive experiences with one another.” Said Doherty, who frequently plays at the Venue. “The scene in Menomonie is so different from other music scenes, if artists show me they can perform, you have potential to grow, and you have a passion for music it’s more than likely you [will] get booked to play at The Abbey.” Carlson said. On Feb. 2, The Abbey, partnering with Toppers Pizza and Rehab, will host the first Abbeypalooza Music Festival. The festival will feature one night of beer olympics and more than 20 artists on two stages. Carlson and his team want this to be the biggest music event of the year, so they are bringing in a professional sound system and stage setup. Registration for the beer olympics is $25 per person and ends Jan. 19. The winner will receive a $100 cash prize. A portion of the proceeds will be donated to Stepping Stones of Dunn County.